She's a hypochondriac, a reckless spender and a nervous wreck. Approaching the crossroads of her career - retirement is looming - and her love life -"Casanova" doesn't seem to be interested anymore - how is our heroine going to cope with all this in her dizzy psychological state? She's writing a book as well, about growing up in her beloved Galway, and the memories of these glory days keep haunting her and stopping her coming to grips with the nasty present as the worlds of fact and fantasy collide. With her nervous system on fast forward and her brain all too often in neutral, she thinks of her life as a car crash in slow motion. The way she deals with that is the main business of this first novel. Mary Mannion spent most of her working life as a legal secretary and is now working in a play school. On Day 5 of my isolation I remembered Dr Walsh's advice about getting back to my writing. I rummaged through old papers in the attic and eventually dug up my masterpiece. I’d started it probably ten years ago but there were long gaps where I would forget it existed. I had lots of ideas in my head but what was actually on paper was pretty pathetic. I surveyed my opening chapter anew: My heroine was a lost sort of woman. She was in her mid-fifties and wasn’t a success on the romantic field nor in her career either. She struggled with new technology and was a grey sad lady. This was how I wrote about her:. Bridget Small lived in a small house in Rialto. She was nothing to write home about in appearance. Your typical secretarial type: mousy and conscientious. But what nobody realised was that inside herself Bridget was a seething cauldron of emotion. One time years ago she'd sent off an application form to go to Canada. Reams and reams of stuff she'd filled in: Do you enjoy sport? Are you a leader? What were your grades at school? Do you debate? No, no, no, and a big fat no, she replied. She was lousy on the playing fields, definitely no leader, grade e-minus at school and as for debating, goodnight Irene. 'Any distinguishing feature?' asked the application form. 'None,' she answered, 'but am willing to be tattooed.' Afterwards she got a snotty letter back from the Canadian Embassy denying her request to go to that country. Just as well, she thought to herself, they must be as dull as ditchwater over there. (She'd heard someone once said that it was such a boring country, even the female impersonators were women). 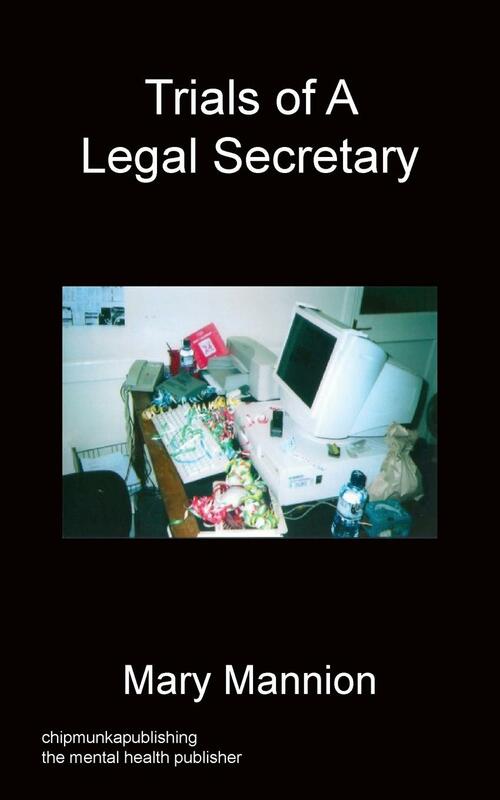 Even though Bridget was a mousy secretary, she did have an outside life. She invented a character called John that she'd been married to since she was about seven. Oh how her parents had fretted when she’d ramble on to this make believe husband. Even now, John came to her rescue when the job was getting her down. She worked in an office with mouses and seals. The seals were her workmates and the mouses the little thingies sitting snugly beside her computer. She was always making mistakes at her computer and it always said the same thing: 'Are you sure?' Every time Bridget made a mistake that question would come up. Except it wasn't really a question because when the computer said that you knew you had rightly mucked up. It was sarcastic. So you see, thought Bridget, even computers can be cruel and try to make you feel small. Which was really hard for Bridget because she was so small anyway - in name, in body and in her mind as well. Every day of her working life Bridget was the loyal secretary, trundling down to the Dart in her best bib and tucker and then seating herself at her desk, plugging in her earphones and typing away until elevenses, or whatever. She’d never master the computer, she knew, but she remembered with some pride the first day she'd managed to type the sentence The Quick Brown Fox Jumped Over The Lazy Dog. That was the one that had all the letters of the alphabet in it. It was part of her training course. Weren't they clever to think up a sentence like that? Thinking about things like that took Bridget's mind off mouses and seals and bad memories of school when she couldn't do her geometry or graphs and Bright Young Things with bobbed hair like the two Flannery sisters from Taylor's Hill who shot their hands up and asked intelligent questions about algebra and theorems, their eyes hopping out of their sockets with excitement. Meanwhile she broke out into a sweat thinking she might be asked a question next about Euclid or Pythagoras' theorum or those funny sguiggly graphs she drew but didn't have a clue about. To her they were just hills of things you might draw in an art class to dress up a page. One day when Bridget was eight years old hers mother called the doctor because she was worried about this imaginary John character she kept talking about. (She even had a song about him but she couldn't remember the air of it). The doctor said it was just a bit of fantasy and to leave her at it, that she'd grow out of it. But she didn't. Bridget also missed her Confirmation question and worried that the bishop might tell her to leave the church. Then there was a play where she only had one line which she managed to mess up, her voice drying up totally just as she got her cue. So that was it. Chapter 1 of my delightful novel. Maybe one fine day I'd take Bridget a step further and make her go crazy in her office - as I felt like doing in mine. As for now, there were days to be got through in my supposedly real life. On the Friday Alice phoned. I told her I was fine, that Nigel was taking care of everything. (And pigs might fly). She knew I was antsy so she got off the phone quick. On an impulse I decided to phone Nigel but his mobile was turned off. Between the jigs and the reels I'd forgotten his marriage proposal. A crazy part of me thought: Why not go for it? We knew each other long enough.